You can print double sided. To do this go to File and click on Print. When the Print File window appears click Properties. 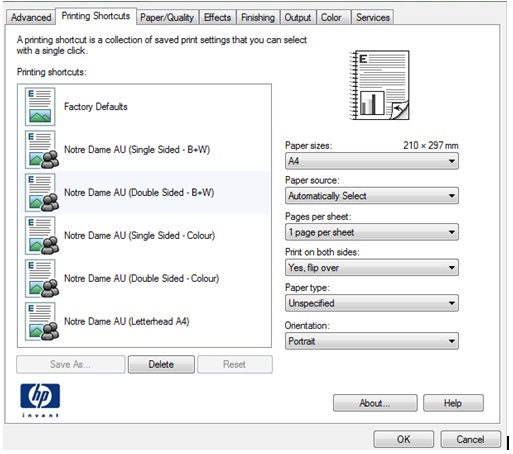 Under the Printing Shortcut tab, choose your preferred print layout: double sided, B&W or colour. Click OK.
From this window you can also choose other print layout options such as as page orientation and paper size. How do I print or photocopy in colour? Can I use my own paper for printing? How do I print or photocopy in the Library? How do I print a document at the library?